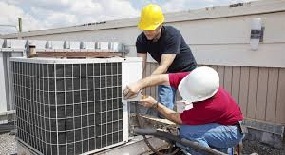 At Air Rite, we are committed to looking after your HVAC service, maintenance and installation needs in and around the Glenn County and Butte County area, providing prompt quality service and installations. Our team of NATE certified technicians follow a strict code of work ethics and are among the most knowledgeable and technically proficient in the industry. We have extensive experience in installing and servicing systems from all brands of heating companies and air conditioning companies. We are committed to customer satisfaction. If you are ever unhappy with any aspect of our work, just contact the owner Steve Anthieny, and we will do everything we can to make you happy. 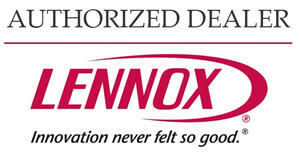 According to the US Environmental Protection Agency (EPA) indoor air pollution is hazardous to your health. Indoor air pollutants can cause allergic reactions, infections, and even disease. 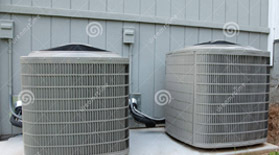 Dirty air ducts ..
Register for AirRite Heating & Air Conditioning email updates and coupons! 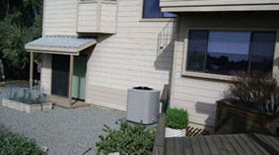 Steve Anthieny’s Air Rite Heating and Air has installed two residential Bryant Evolution systems in two different homes for me. I was impressed with Steve’s engineering and planning of the two challenging retrofit jobs. Steve and his staff are professional, courteous, pleasant and the service they provided was outstanding. The Bryant equipment is efficient, quiet and the intelligent Evolution Control is very convenient and easy to use to manage the zones. Air Rite has also done expert maintenance and repair on another brand of existing system and I am happy with all of the work and especially the new Bryant equipment and systems. Steve Anthieny of Air Rite Heating and Air Conditioning did a great job in an emergency situation. I was especially impressed with his work ethics, enthusiasm, and concern. He demonstarted that he is knowledgeable, efficient and dependable. I Purchased the Bryant evolution Systems from Air Rite last year. I have been very happy with my new system. It heats and cools my house much better than the old system, and I am seeing a savings on my electric bill. 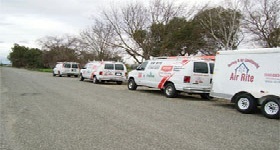 Residential and Commercial Heating and Air Conditioning contractor serving Chico, Orland, Paradise, Red Bluff, Gridley and surrounding area.